I grew up in Adelaide and was educated at the University of Adelaide. At the time that I graduated with an Honours Degree in Economics, I couldn’t wait to move to Sydney. I still have a very warm spot in my heart for Adelaide and lots of places around the world, but Sydney is home. Where are some of the interesting place you have lived around the world? Working for the World Bank in their Industrial Projects Division, I found Washington DC to be an interesting place to live; Jill, - my wife, was the physical therapist for the Washington Redskins. I worked in many countries around the world, including Brazil, Peru, Indonesia, the Dominican Republic. I also lived in London and New York for over 10 years, which means that I have spent over a third of my working life living outside Australia. I take it a little easier these days and, my wife and I live in Palm Beach, Sydney. This means that I can have a swim in the morning, go into the city four days a week and play some golf and tennis. 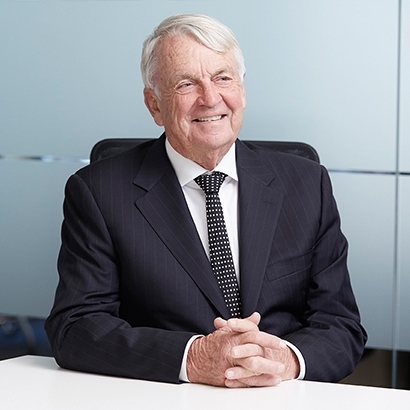 Currently, I am a partner of Allen, Allen & Partners, act as an advisor to the New South Wales Government’s Minister of Trade and Investment, I am the Chair Emeritus of Advance and I am also a Senior Advisor to Lexington Partners, the leader in the Global Private Equity Secondary Market. All exciting and interesting. What’s a hidden secret of your city? The hidden secret of Sydney is that the best things in life like great beaches, sunshine and sports facilities - are close by and there for for all to enjoy. What’s your favourite café/bar/restaurant in your city? In Sydney, I like Machiavelli restaurant the best. It has a hum and energy about it that reminds me that we do live in a global world. The food is fantastic and a little grappa that might come at the end of a meal doesn’t hurt too much. For me Sydney ‘has it all’ and it’s a great place to live if you have the right job, good health and family. But even Sydney is not enough, I still need to visit my friends in other places at least a couple of times a year. Its people that make the world turn and that’s why Advance is important.